Soybean Oil, Gelatin, Glycerin, Water, Soy Lecithin, White Beeswax, Caramel (colorant). Take two softgels with a full glass of water, 15 minutes before main meals. Do not exceed four capsules per day. 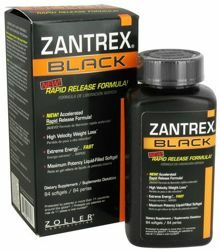 Do not take Zantrex-3 High Energy Fat Burner (red bottle), original Zantrex-3 (blue bottle), or Zantrex-3 Black at the same time. Do not substitute one product for the other. 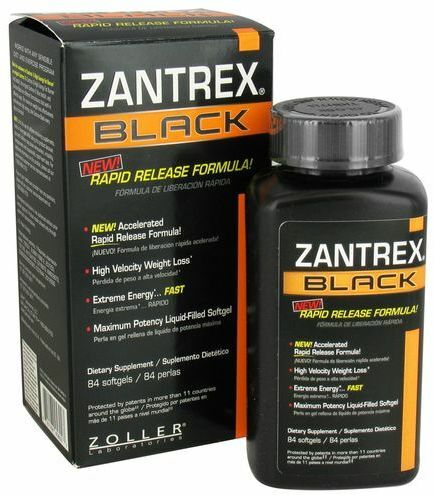 This product contains a significantly potent xanthine (i.e., caffeine and caffeine-like stimulants) mixture, of about 300 mg per serving. Consult your physician before use if you are taking caffeine-containing medications or if you are sensitive to stimulants. People sensitive to Niacin (Nicotinic Acid) may experience flushing of the skin that is generally mild and transient. Do not exceed suggested daily serving. Not for use by individuals under the age of 18 years. Do not use if pregnant or nursing. Consult your physician before use if you are taking a prescription drug, or have a medical condition.